It is sometimes necessary to empty the urinary bladder with a medical catheter. The tube is inserted into the bladder through the urethra -- the small, delicate channel through which urine naturally flows. 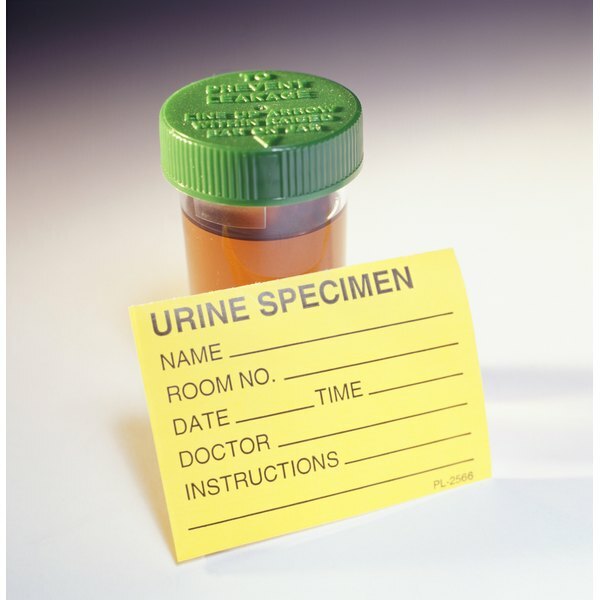 Some catheters are removed as soon as a urine sample is obtained and others are left in place for longer. As with any medical device, there are potential complications associated with urinary catheters, particularly those that are not removed immediately. The presence of a catheter in the urethra and bladder compromises the body's defenses against invasion by germs. The Centers for Disease Control and Prevention reports that urinary tract infection associated with the presence of a catheter is the most common hospital-acquired infection in the U.S. Because the germs in hospitals are exposed to many antibiotics, some have become resistant to treatment and the resulting infections may be fatal. Urinary catheters are specifically designed to be placed into the bladder. They are supplied in kits that contain all the necessary items for proper placement. Personnel who place urinary catheters are trained in the correct techniques, but they may still cause an injury when inserting one. Indwelling catheters -- those left in place for a period of time -- have a balloon at the tip that is inflated once inside the bladder to secure the drainage tube. Premature inflation expands the balloon inside the urethra, potentially resulting in tearing, pain and bleeding. Some catheter insertions are more difficult than others, and using excessive force to advance the tube may puncture the urethra. Both premature inflation and urethral puncture can result in scarring and blockage that require surgery. The risk of a complication, particularly infection, increases the longer a catheter is in the bladder. In a September 2013 article published in "BMJ Quality & Safety," researchers reviewed 11 studies of the effect of prompt removal on infection rates and found an average reduction of 53 percent. The authors note there are nearly 450,000 catheter-associated infections in the U.S. each year. People who are disoriented due to medication or illness may pull their catheters partially or completely out with the anchoring balloon still inflated. This may injure the base of the bladder or the urethra and require surgical correction. The site where the catheter exits the urethra may become ulcerated if the long-term catheter is not properly secured. Catheters should be placed in the bladder only for specific medical reasons, as defined in CDC guidelines published in "Infection Control and Epidemiology." The collection bag of the catheter should always be suspended below the level of the pubic bone, including during walking or sitting. Cleaning the groin and buttock areas regularly will decrease contamination of the catheter and the risk of infection. Anchoring the catheter to the leg with the provided strap prevents tugging injuries of the urethra.